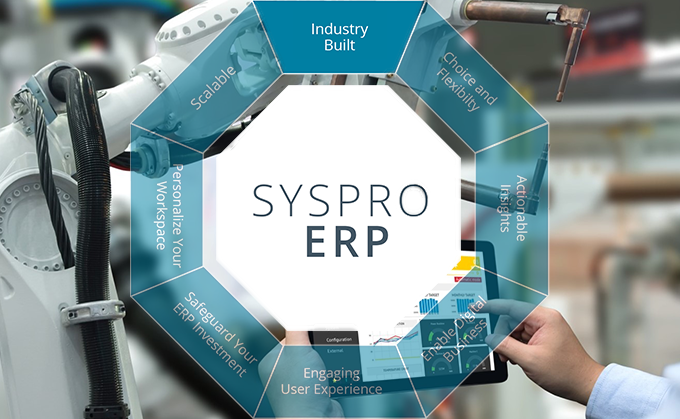 May, 2018, SYSPRO Corporate: Global ERP provider, SYSPRO’s believes Enterprise Resource Planning lies at the heart of any manufacturing and distribution operation. To be effective today in these two sectors, the solutions offered need to be industry-built, specifically to address the unique industry challenges that exist. SYSPRO’s new release focuses on solving industry-specific business challenges with a simple approach. In many instances, it’s the operational differences amongst businesses that determine their distinct competitive advantage, so SYSPRO has provided a solution that not only encompasses industry-specific solutions but also allows the business owner to configure the software to best represent their specific operational needs rather than one that dictates, or governs how their business is run. By combining that level of flexibility and customisation with the ability to collect data more efficiently than ever before, from both humans and machines, we’ve provided the basis for a business to evolve from real-time analytics, to predictive analytics, supporting the Industrial Internet of Things and Industry 4.0. This ensures that the management team stays current, and in control of the business to boost competitiveness. At SYSPRO, we are committed to future-proofing our customers business,” says De Matos. Implementing a generic ERP system requires a great deal of unnecessary customization. SYSPRO’s built-for-industry ERP is designed to help business owners benefit from best practices, especially in highly-regulated industries, while minimizing the cost, and the time involved in ERP implementation. “Our extensive hands-on experience in manufacturing and distribution, has enabled us to develop specific functionality and solutions tailored around the business owner’s specific industry needs, importantly delivered by an ecosystem that has the industry experience to add value to the process,” concludes De Matos.